UC-61’s remains, seen here in December 2018. 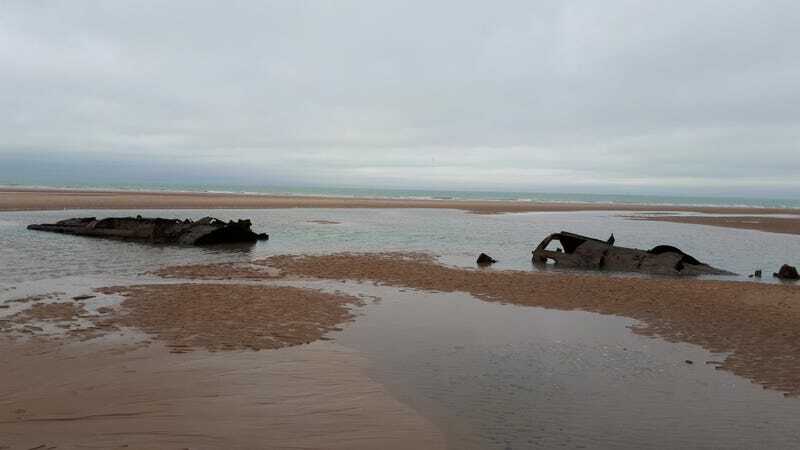 The remains of SM UC-61, a World War I German minelaying submarine (also known as a U-boat) is resurfacing on the coast of Wissant near Calais over a century after it was abandoned and scuttled by its 26-sailor crew before they surrendered to the French, the BBC reported on Saturday. In April 2018, search teams discovered a World War II-era German submarine rumored to have taken top-ranking Nazi Party officials to South America after the destruction of the Third Reich, the advanced Type XXI model U-3523, under 403 feet (123 meters) of water along the Danish coast. Though (quite unsubstantiated) rumors persisted that the ship carried a hoard of gold or the bodies of missing Nazis, the ship is a protected war grave and would be hard to study even with remotely operated vehicles, meaning any secrets it carried have likely gone to its watery grave. In 2017, search teams found both a sunken World War I-era Australian submarine whose sinking remains a mystery as well as another Nazi U-boat that sunk in 1942.